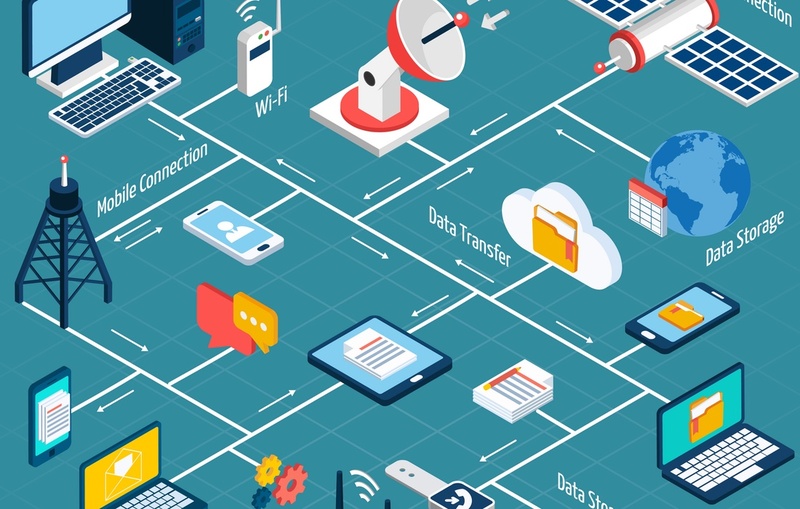 IoT security, cloud-managed WiFi, and other trends will reshape the WiFi market next year. WiFi has undergone some of the fastest changes of any business and consumer technology we’ve seen. 2017 will bring plenty of new milestones and developments in light of the exponential growth driven by the Internet of Things, new standards, cloud managed WiFi, and other trends. So, based on conversations with partners, customers, and industry experts, here are my 2017 WiFi predictions. The Internet of Things (IoT) is expected to reach 10 billion devices by 2020. This precipitous growth will continue driving high-density demands across networks, including WiFi. We are nearing a time when the majority of global internet traffic will begin or end on WiFi. Until recently, it has not been easy to onboard a rapidly growing number of IoT devices to WiFi, as they lack keyboards and browsers. As a result, vendors will require IoT onboarding and security as part of their Wi-Fi management frameworks. This ensures devices only connect over pre-designed ports and protocols, which, by the way, would have prevented the DDOS attack we saw this fall. Based on such new capabilities, the coming year will continue this progression, with IoT devices leading the way into an all-WiFi world. The cloud creates a paradigm shift for millions of users, making pervasive, reliable, secure Wi-Fi mandatory in the enterprise. At the same time, with so many businesses relying on “always on/always connected” access to the cloud, the WiFi network must not only be secure, but also have 24/7 monitoring and self-healing capabilities. It must further provide a controlled development environment that reduces time-to-market for new features, optimizes performance, and eliminates costly back-ups and IT upgrades. We are seeing this year’s contention between LTE and WiFi in the 5GHz band rapidly move toward resolution. Even with changes in data costs, LTE remains limited in spectrum, costs 10 times more to deploy, and is generally billed on a per-byte basis. WiFi remains cheaper to deploy, provides faster operating speeds, and, in almost all cases, is free to the end user. And, while LTE works well outside, it falls apart rapidly as the user enters the core of any building. WiFi can be designed to work consistently throughout internal spaces. To avoid regulatory intervention on the LTE/WiFi issue, the US needs to adopt a simple co-existence protocol, much like the one successfully used in Europe: Listen Before Talk (LBT). The LBT protocol in the IEEE 802.11 standard allows many devices to use the same radio channel without pre-coordination. While interesting work continues outside of the 2.4 GHz and 5 GHz ISM bands, the majority of devices and networks will remain focused in these two bands for years to come, with increased use of the 5 GHz band. Within this band, the next big advance comes with 802.11ax, which promises to deliver even higher speeds and better spectral efficiency than we have with 802.11ac. For now, 802.11ad, which operate sin the 60 GHz ISM band, has the status of an interesting emerging technology for 2017. Think of it as Bluetooth on steroids: It does for video/monitor connections, docking stations, and mobile device connections what Bluetooth did for audio connections: Provide a short range (< 10M) wireless connection. But most critical on the standards front is top-quality security for networks and devices. It’s important to have standards that will make it easier, and eventually mandatory, to encrypt and authenticate wireless networks. Too much of our business and personal data flows via WiFi to not have them all automatically secured, all the time. Biometrics is a likely form of future authentication. Each of us has unique physical identifiers, such as fingerprints, eye iris patterns, and other personal features. Emerging technologies can authenticate access to the network using one or more of these unique attributes. In a few years, the concept of a password will likely be as out of date as a signature! It’s not as far off as one might think! WiFi now can be included in the lowest level in Maslow’s Hierarchy of Needs, a model that describes the essential necessities that motivate human behavior. Beyond clean water, food and shelter, an internet connection is now considered a requirement by many in the world. Just as every person should have access to the basic needs of life, our society believes it should have access to other humans on the planet. But first, providers must prioritize solving density, security, and simplicity problems. For instance, users will soon be able to auto-connect to any public WiFi network with their existing credentials, which enables a truly global WiFi network. This objective around connectivity being a basic human desire, for better or for worse, acts as a focal point for what the world is working toward – in business, at home and across nations.